A Currant is a dried Zante grape, the name being a corruption of the French raisin de Corinthe (Corinth grape). Zante currants are very small , intensely flavoured and are native to the island Zakynthos the third largest of the Ionian Islands in Greece. Zante currents can be dried and have become a favourite baking ingredient, especially in England. 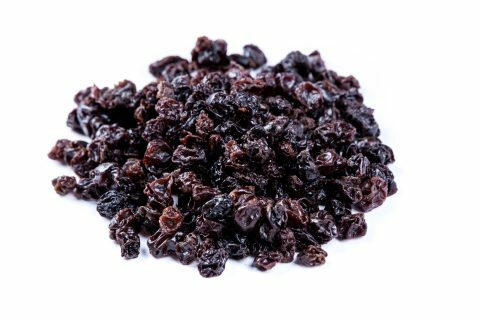 Currants are produced using the same technique used to make raisins and sultanas, the grapes are coated with a harmless drying emulsion and left to dry in the sun.